If you operate your business as a sole proprietorship, partnership, or S corporation, your 2018 income from these businesses might qualify for the new 20 percent deduction. 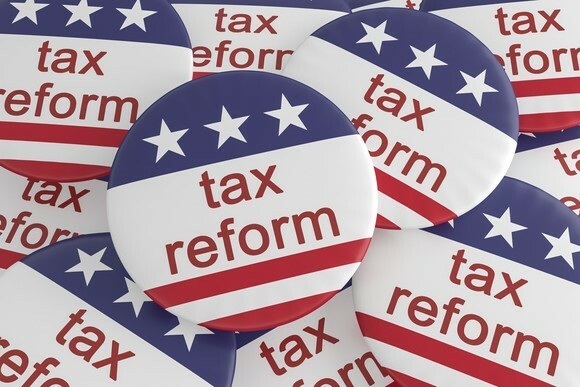 The new 20 percent 2018 tax deduction can also apply to income you receive from your real estate investments, publicly traded partnerships, real estate investment trusts (REITs), and qualified cooperatives. “Defined Taxable Income” is taxable income, before considering any Section 199A deduction. Example. You are single and operate your dental practice as a proprietorship. It produces $180,000 of qualified business income. With your other income and deductions, your defined taxable income is $150,000. You qualify for a deduction of $30,000 (the lesser of $150,000 or $180,000 x 20 percent). If you operate your practice as a partnership or S corporation and you have the same qualified business income, and defined taxable income numbers above, you qualify for the same $30,000 deduction. The same is true if your income comes from a rental property, real estate investment trust, or limited partnership. Some VERY unfriendly rules apply to what Section 199A calls a “specified service trade or business”, such as operating a dental practice or accounting firm, where defined taxable income is above the thresholds above, plus phaseouts ($50,000 single or $100,000 married). At those income levels, the Qualified Business Income drops to ZERO for income from those sources. But, Qualified Business Income from other sources could still help you qualify for the deduction. The term “qualified business income” means the net of qualified items of income, gain, deduction, and loss with respect to any of your qualified trades or businesses, within the United States only. If the qualified business income produces a loss, then the loss creates a zero benefit for the year, and that loss carries over to the next year to ensure that your loss of money is penalized. ·	any guaranteed payment described in IRC Section 707 paid to you as a partner for services rendered with respect to the trade or business. Example. You own five rental properties, all of which produce defined taxable income, and they are your sole source of qualified business income. During 2018, the five properties produce $70,000 of income on your Schedule E. You also sold one property at a $50,000 long-term capital gain, which you properly reported on forms other than Schedule E. Because of your itemized deductions, your defined taxable income for the year is $105,000. Your 20 percent deduction is $14,000 ($70,000 x 20 percent). You consider the operating income of the rentals, and you don’t include the capital gain as qualified business income. The two previous examples were simple because the defined taxable income was below the thresholds. Once you hit the income limit, you can trigger complications to your deduction, depending on the type of business you operate and whether you have wages and/or depreciable property. Here is how the defined taxable income limit comes into play. Example. You are the sole operator of a proprietorship that is not a service trade or business. It creates $400,000 of qualified business income. Because of other deductions, you and your spouse have $300,000 of defined taxable income. Your 20 percent tax deduction is $60,000 ($300,000 x 20 percent) because you must apply the 20 percent to the lesser of your defined taxable or qualified business income. ·	50 percent of the W-2 wages paid by that qualified business. W-2 wages do not include any amount that was not properly included in a return filed with the Social Security Administration on or before the 60th day after the due date (including extensions) for such return. ·	$70,000 ($140,000 x 50 percent). Your 20 percent Section 199A qualified business income deduction is $70,000 (the lower amount). Because you and your spouse were over the defined taxable income limit of $315,000 plus the $100,000 phaseout ($415,000), you needed the wages to qualify for the deduction. In this example, with no wages, your Section 199A deduction would have been zero. ·	the sum of 25 percent of the W-2 wages paid by the qualified trade or business, plus 2.5 percent of the unadjusted basis, immediately after acquisition, of all qualified property. ·	for which the depreciable period has not ended before the close of the taxable year. ·	the last day of the last full year in the applicable recovery period, ignoring any alternative depreciation system period under Section 168(g). ·	$30,000 ($1.2 million x 2.5 percent). 1. Your deduction is not limited when your defined taxable income is less than $157,500 if you are single, or less than $315,000 if you file jointly with your spouse. Under those limits, even dental practice income qualifies for the full 20 percent of qualified business income. b.	your qualified business pays W-2 wages and/or has depreciable property. 3. Since the taxable income from Dental Service Organizations (DSO’s) can likely qualify for the section 199A deduction, regardless of the income threshold, it will be more important than ever to consider separating the clinical functions of your practice, from the business/entrepreneurial functions, in order to take advantage of the new Section 199A deduction. 4. Many dentists will want to consider forming their own leasing company to make large equipment purchases in the future, as profits from leasing can be QBI. But the loss of section 179 depreciation, and possible state sales tax, can complicate the decision. 5. Since rental income can qualify as QBI, it is important to charge your tenants the maximum allowable rent under your lease agreements, and to be sure to have escalation clauses built in. 6. Anyone practicing as a C-corporation should definitely consider electing S-corp status if their income is below the threshold. 7. Associate dentists will want (more than ever) to set up their own S-corporations to contract with owner doctors to provide services, rather than being W2 employees. 8. Dentists who purchase existing practices are more likely now to want to be single member LLC’s, taxed as sole proprietors, rather than the S-corps traditionally selected prior to 2018. 9. Planning carefully regarding section 179 depreciation and bonus depreciation will be critical for dentists with income near the thresholds. 10. Married couples will now have to plan together, since the new thresholds are based on total family income.